Your special day is coming up, but despite months of preparing for every scenario, you still can’t help but feel like something will go terribly wrong in one way or another. But don’t worry – you’re not alone in your plight. 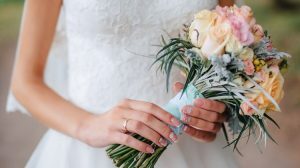 Here are 4 common fears every couple encounters at some point when looking forward to or getting ready for their special day, with helpful tips on how you can ease them before walking to that altar. 1. The ceremony and/or reception might disappoint the guests. Every couple wants their guests to enjoy the festivities that they spent a long time carefully planning, but no matter how much planning you put into it – from the wedding decor, to the menu, to even the venue – you can’t possibly please everyone. Instead, focus on the few elements of the wedding that you personally enjoy yourself. Unless your parents are the ones paying for it, you should have more or less complete control over the preparations. 2. A guest/family member will start a scene. Speak with that particular person beforehand on the issue if you know that he/she has had a history of bad behavior. And just in case you’re really convinced that push will come to shove, assign your bridesmaids/groomsmen on both crowd and damage control. 3. Things don’t go on schedule (i.e., some things go on too long, while others are over too quickly). Let’s be honest – it’ll actually be a miracle if everything in your wedding turns out perfect. It’s normal to worry about these things, such as the caterers being late, the wedding planner not showing up on time, or that there are too few or too many guests. However, once the contracts have been signed, the RSVPs have come in, and the venue has already been decorated, there is little that you can do but trust that things will go fine. 4. The wedding photos might turn out to be awful. If there is one part in your life that will be extensively documented, whether you’re the bride or the groom, it will be your wedding. It’s okay to have faith in your photographer – they’re experts, after all. If you’ve already seen your photographer’s portfolio (which you should have during the screening process), you should have complete confidence in their abilities and eye in looking for the best shots to take. It’s also not a bad idea to send a list of “must-take” shots.